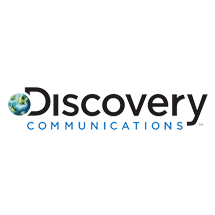 Discovery Communications moved from a sporadic offering to a consolidated platform which better communicated available benefits to its staff. Now, 88% of its employees have a clear understanding of their benefits and the platform paid for itself with a return on investment of the equivalent of more than $175K AUD. To support Discovery’s goal of a "One-Team; One-Discovery" unified workforce by providing a consistent, cost-effective offering in which all employees have access to a market competitive benefits package. To simplify benefit enrolment by creating an agile, user-friendly platform, promoting greater engagement in benefits with communications that "Educate, Excite, and Unite" employees. Discovery took a holistic approach to springboard its benefits offering forward with strong foundations for the future. This began with putting in place an agile platform which would meet evolving business needs. The team built an in-house Benefits Portal that provides access to real-time data and gives easy access through Single Sign-on. Visual step-by-step trackers make each stage of the enrolment process visible and the online benefit statement helps employees understand the value of its package. Moving away from its incumbent provider, gave Discovery an opportunity to design new internal processes that simplify enrolment and help employees understand their options. The platform was promoted with a communications strategy which targeted all employees with tailored messages and utilised the existing Benefit branding, "Ben the dog" – Discovery employees' benefits buddy. Ben added a crucial element of fun which reflected the culture and brand consistency and reduced the "change" anxiety. Discovery used multiple channels and platforms across the business to make sure the message reached employees. Supplementing the communications strategy, Discovery’s Team reduced manual tasks by developing 25 automated email scenarios to communicate on key topics such as new joiner information and developed jargon-free one-pagers. Benefit take-up has increased steadily since launch and over a third of employees have chosen to take better advantage of the enhanced benefits available to them. A staff survey reported that 88% of employees now have a clear understanding of their benefits and 82% are happy with what’s on offer – feeding into overall engagement of 90%. Discovery’s Team has also benefited from the success of the new system as administration has become much easier with monthly payroll processing time reduced from five days to one. This has enabled the whole team to focus on added value activities and further engagement.